The Glen House, the new 68-room hotel at the base of Mt. Washington, is the ideal base camp for those who love the outdoors and winter adventures in the White Mountains. 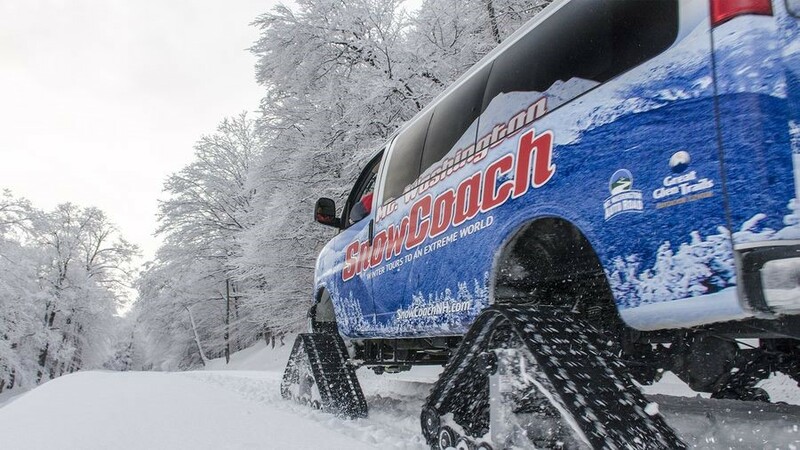 Guests can ride a SnowCoach up Mt. Washington, cross country ski with a former U.S. Olympic Team Member or head 10 minutes down the road to the challenging alpine slopes of Wildcat Mountain Ski Area. 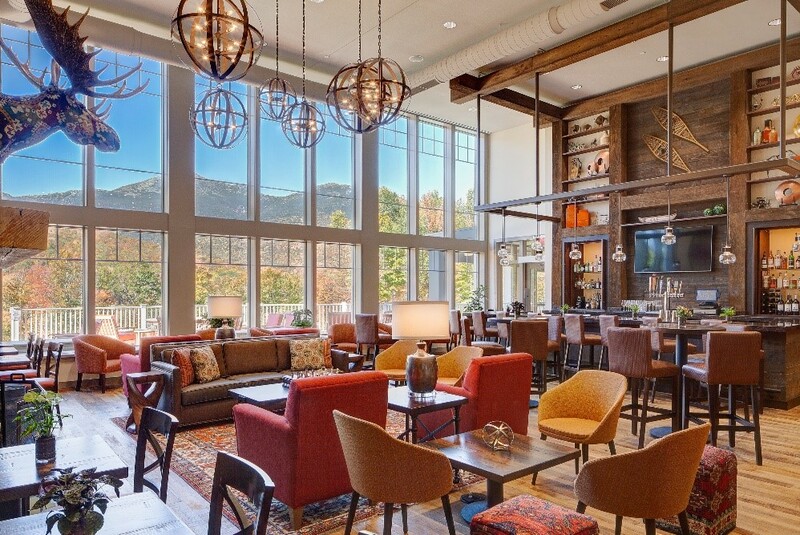 Après happens by the fieldstone fireplace in the two-story lobby and bar, which was named “The Most Beautiful Bar in New Hampshire” by Architectural Digest. The star attraction of the area is Mt. Washington, which at 6,288 feet is the highest peak in the Northeast. The Glen House lies at the start of the Mt. Washington Auto Road, the most famous mountain drive east of the Rockies. In summer and fall, it’s a fantastic drive to the top. In winter, it’s a completely different but exhilarating experience, as guests board a 12-passenger Mt. Washington SnowCoach that transports them four and a half miles up to tree line on the mountain. They stop at approximately 4,200 feet and experience a sub-arctic world for a memorable adventure. Ride the SnowCoach back down or, for the more adventurous, cross country ski, telemark or snowshoe back down the snow-covered Auto Road to the hotel. SnowCoach tours last approximately 1.5 hours and depart daily, weather permitting, December through March. Reservations are required for the sunrise SnowCoach tours on February 17, 20 and 24, and strongly recommended for all daytime tours. Reservations can be made online at www.GreatGlenTrails.com. Just across the road from The Glen House is The Great Glen Trails Outdoor Center, which offers Nordic skiing on 45 kilometers of classic and skate-groomed trails, as well as snowshoeing, fat biking and snow tubing. Trail access and snow tubing are included with nightly rates at The Glen House. The center offers rentals and lessons for kids, novices and more advanced skiers, but those who want to raise their skiing to a higher level can arrange lessons with Olympian Sue Wemyss, the Ski School Director at Great Glen Trails. A member of the U.S. Ski Team from 1983-1986, Sue competed in all four of the cross-country races in the 1984 Winter Olympics in Sarajevo, Yugoslavia, with a best individual result of 28th in the 20km race. She’s also a member of the Professional Ski Instructors of America’s Nordic Development Team. Great Glen Trails offer lesson packages of three one-hour lessons with Sue for $129. Lessons are non-transferable, and reservations and a trail pass are required. All three lessons must be used within one ski season. After a day of play in the snow, it’s great to return to the welcoming Glen House, with its imposing great room that extends from the lobby to the sitting area with a towering stone fireplace, an open bar area and massive windows framing a view of Mt Washington and neighboring peaks in the Presidential Range. The adjacent outdoor deck has ample seating and a stone fire pit, perfect for après ski sessions. 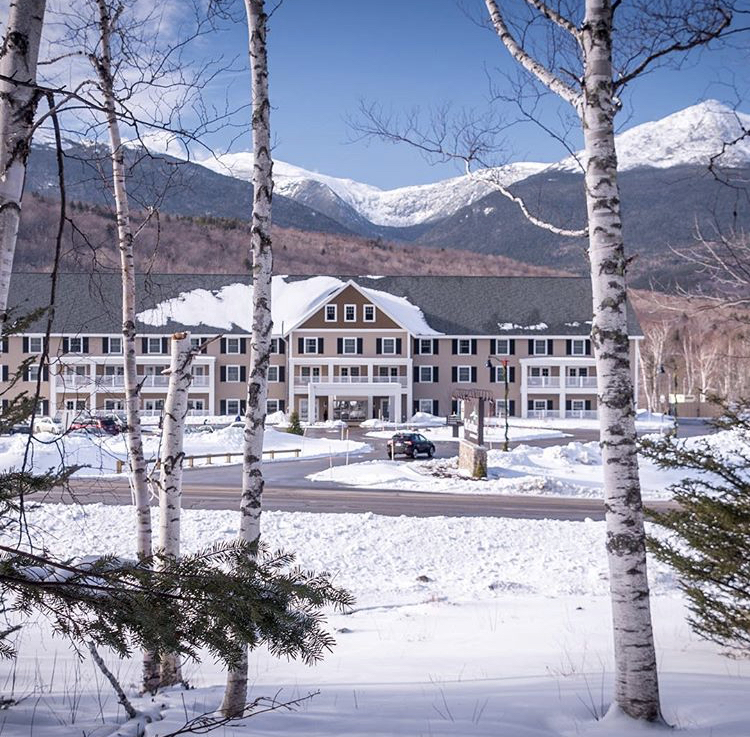 The Glen House restaurant, The Notch Grille, serves comfort food at breakfast, lunch, and dinner, with brunch on the weekend, and a wide range of New Hampshire craft beers. The Glen House has a gym and an indoor saltwater swimming pool, with complimentary WiFi throughout the property. Contact The Glen House for reservations.